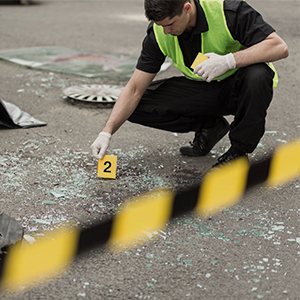 No one expects to be involved in an accident resulting in a serious injury, but it happens all the time. If it does, your injury could prevent you from going to work, costing you wages and your normal way of life. If you’re dealing with loss of wages due to not being able to work or are experiencing a major lifestyle change because of an accident, you could be entitled to monetary compensation. Depending on your situation you may be able to file an insurance claim in civil court against those at fault for your injury. It’s a huge part of our everyday life, but you are taking a safety risk each time you get in your car. No one wants to deal with an accident, but they happen every day and can often be quite serious. Under California law, you can file an insurance claim against another party responsible for your injuries in an accident. When an accident is especially severe or when many different parties are liable, it can be difficult to know if you’re doing everything possible to get the compensation you deserve. That’s why we’re here. When you go out in public you expect a certain level of safety and security. No one wants to be injured because of a faulty staircase, rough patch of ground or slippery wet floor. But accidents do happen, and sometimes it can be difficult to determine who is at fault. When a person is injured on another person’s property, the owner isn’t automatically at fault. However, property owners do have a certain obligation to keep their property up to safety standards, and if it can be proven the owner was acting negligently in regards to safety, a lawsuit may be in order. If a loved one or someone you know has died prematurely as a result of the negligence or wrongful act of another person or entity, you may be able to file a wrongful death suit. California law outlines who can file this type of lawsuit, what damages may be available, and the timelines for filing such a suit. All wrongful death claims are civil suits that are brought directly to court by the deceased’s survivors. Fault is expressed in terms of monetary damages that the court may order to pay for medical and hospital bills, funeral and burial expenses and even lost or future potential income the deceased may have earned. Though filing a successful wrongful death claim can’t bring your loved one back, it can provide closure by holding the responsible party accountable and ensure your family has the financial means to get by. The Law Offices of Brian A. Newman has been helping victims of accidents file insurance claims since 1982, and we’ll be happy to help you with yours. We know how to keep claims examiners acting in good faith while a claim is pending, and get our clients the financial compensation they deserve to pay for medical bills and other costs. If you or a loved one has been injured following an auto, motorcycle, trucking, or slip and fall accident, contact an experienced Los Angeles County personal injury attorney. If your case involves the negligence or the fault of someone else, you could be entitled to monetary damages. Even if your injury doesn’t seem that serious initially, you never know when problems could come up down the line. Your best bet is to be proactive in protecting yourself. Call the Law Offices of Brian A. Newman at (424) 275-4014 to speak with a knowledgeable Torrance, Long Beach, and South Bay personal injury lawyer about your case. We can help you get the compensation you deserve. We offer free consultations, so don’t hesitate!